The summer weather is so hot and many girls want to updo the hair or get a stylish short haircut. But hot summer days only lasts for a while and long hairstyle fits winter perfectly. 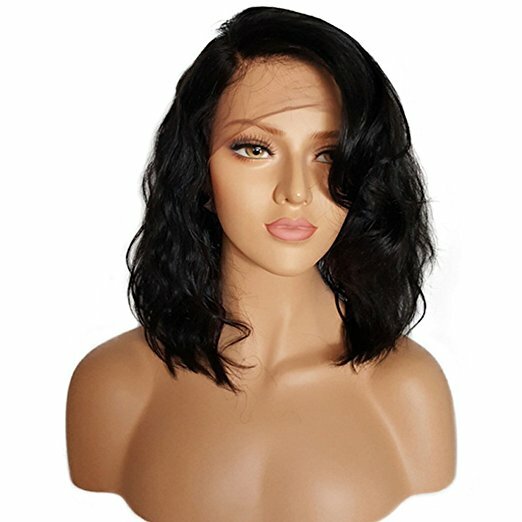 So if you want a short hairstyle and don’t want to get a haircut, purchasing a short human hair wig with your favorite hairstyle seems good! 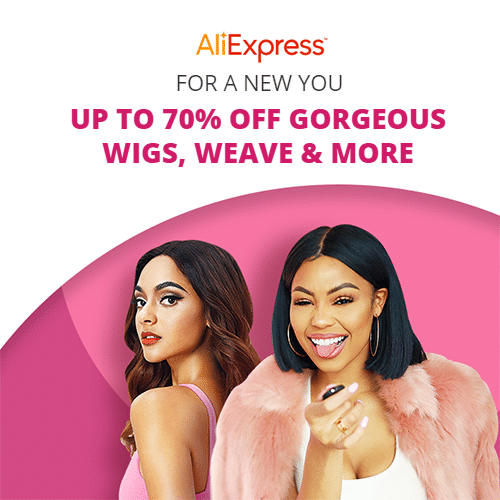 Besides AliExpress, there’re many short styled best human hair wigs on Amazon for black women at affordable price. 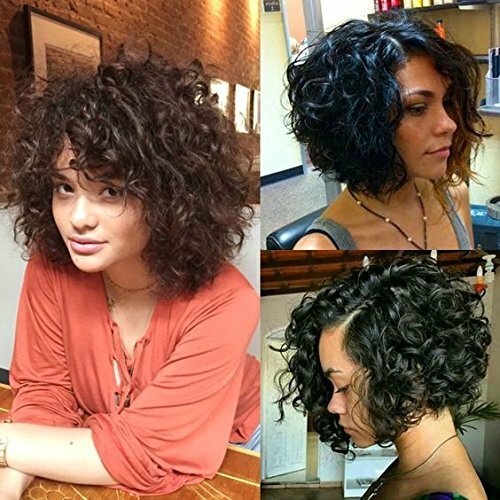 Shoulder length bob hairstyle must be the most classic and popular summer hairstyle. 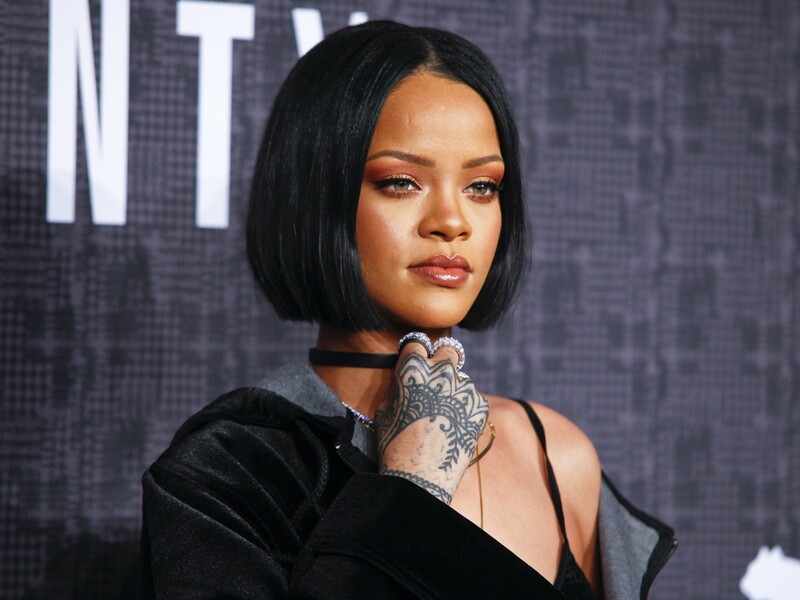 If you want a hair change but don’t know which hairstyle to take, try shoulder length bob! This wig is made from Brazilian remy hair, 12 Inch, Natural color, Glueless so easy to wear. Michine Made Weft Cap with A Little Lace in the Middle. Medium Cap Size and with Adjustable Strap in the Back. 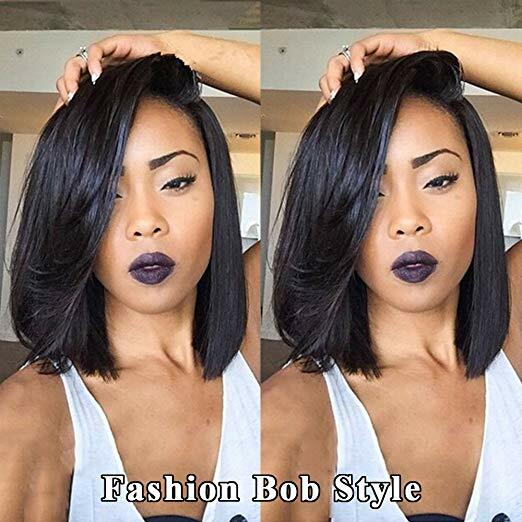 Can I say more than 10 hair readers have bought this styled bob wig from Amazon and AliExpress this month till now? 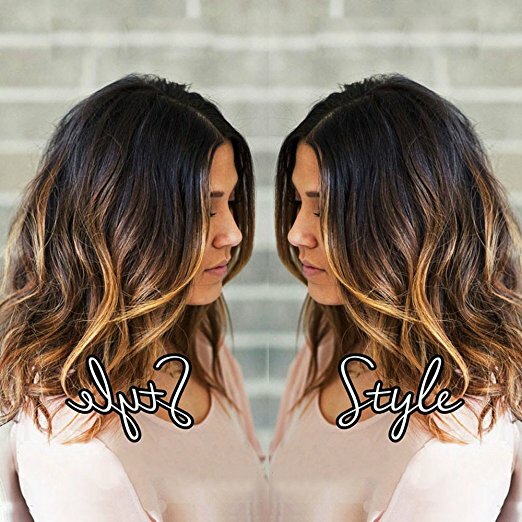 Very natural hair texture wavy, most classic hair length shoulder length. Natural color but you can dye if you like other colors. Medium size cap and medium color lace. But you can ask for a small or large size cap. The hair density is 130% but you can custom 150% or 180%. Best Quality 100% Unprocessed Brazilian Virgin Hair. 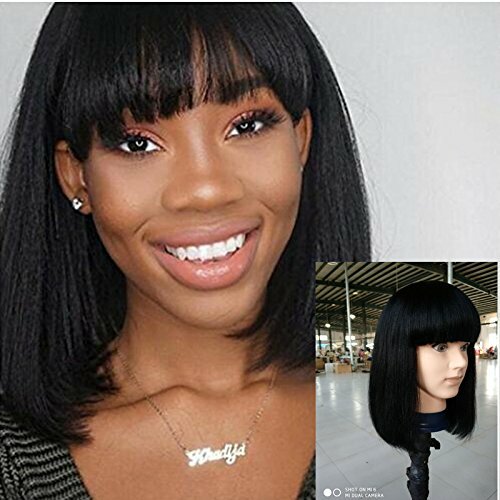 BEEOS stores wigs in Amazon warehouse so you can get your wig soon and return is easy if you’re not satisfied when receiving the package. 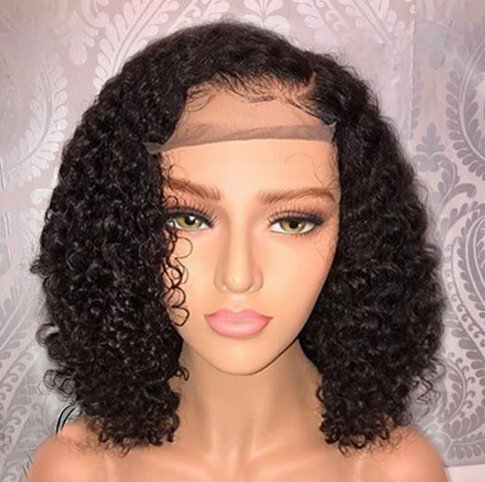 Eayon Hair Curly Bob Pre Plucked Lace Front Wig Human hair Glueless Full Wigs for African American. 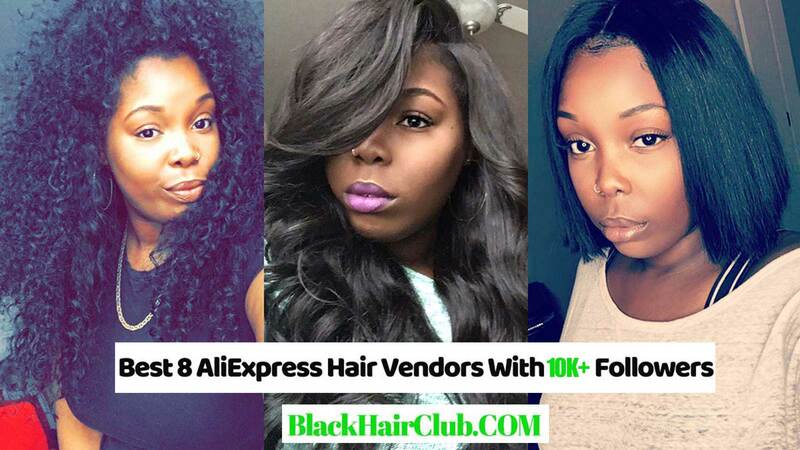 100% Brazilian human hair, natural color can by dyed or bleached, loose curly hair texture, 130% hair density and 10 inch hair length. Soft Swiss lace and medium brown lace color. 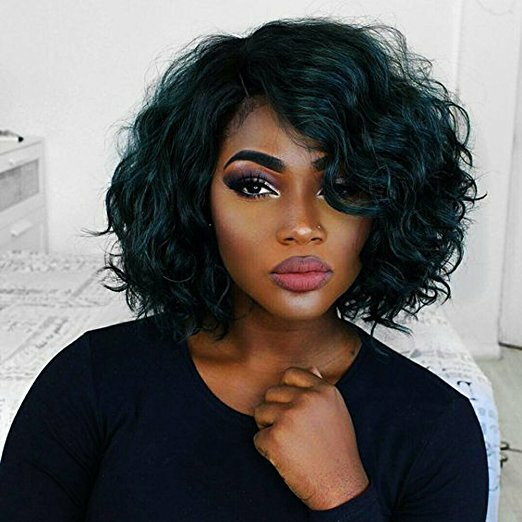 You must see many hair sellers on AliExpress are selling similar styled wigs by using the same hairstyle picture of this one. 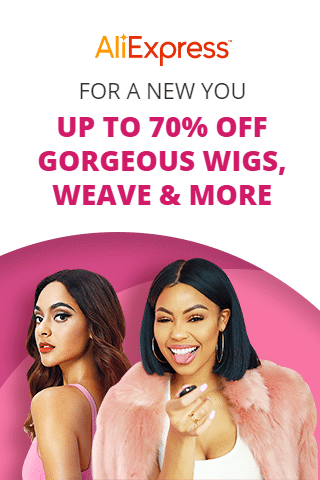 But why you should buy from Amazon Formal Hair? Girls who have bought this wig all said it’s GOOD! Made of Brazilian Remy hair so soft and tangle-free without any shedding. 130% hair density, full and thick feeling, with bleached knots, baby hair around perimeter to give a natural hairline. Medium size cap but you can ask for a small or large size if you need. The texture is labeled with curly. But I see it’s kind of deep wave and a little like stretched afro. 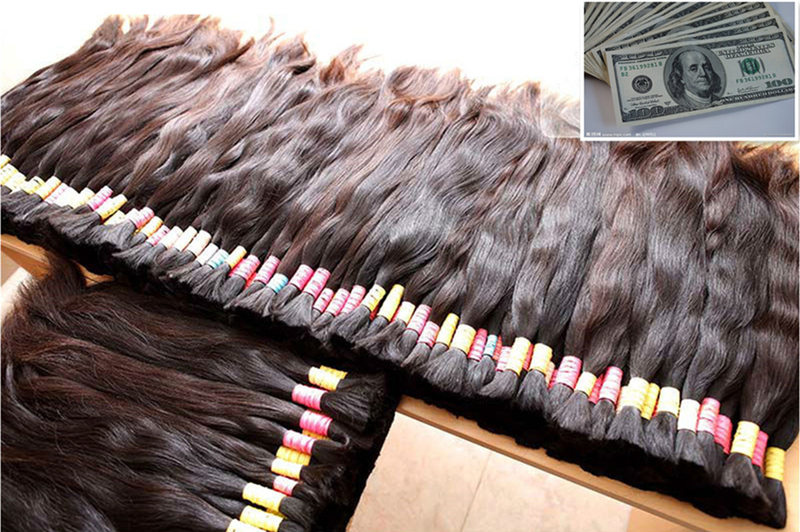 100% Brazilian remy human hair. 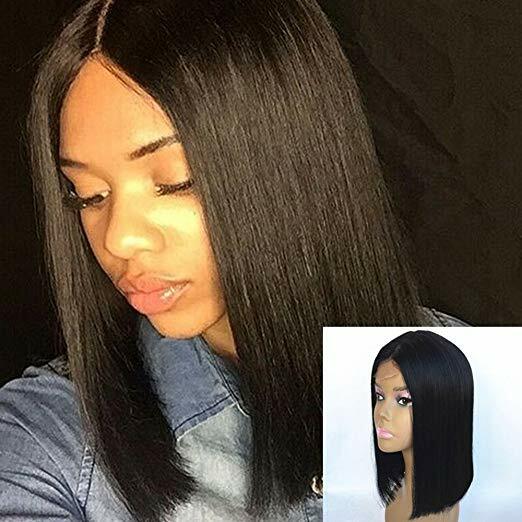 New upgrade natural hair line, 13*6 inch deep parting give a natural hairline to make wigs natural looking, the wig can be part any way and style like your own hair. Natural color(the color is natural without processing),Silk, Smooth, Soft Touch and Tangle Free, Shedding Free, Can be Washed, Dyed, Permed, Curled,Straightened, Durable, Resuable, After Wash, It Return Same Texture. 150% density, Medium Brown Swiss lace (Strong and Invisible), 8 Inch. Machine Made, None Lace. Medium Cap Size with Adjustable Straps. 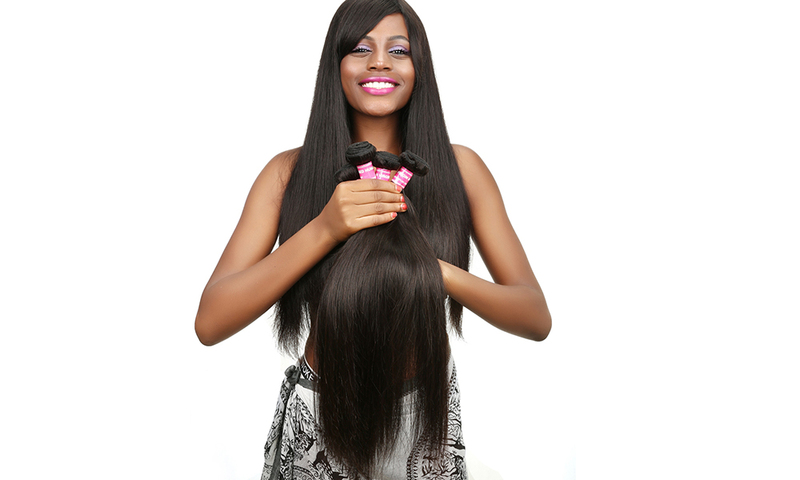 100% Brazilian Human Hair. No Shedding, No Tangle. Can Last For More Than 1 Year. 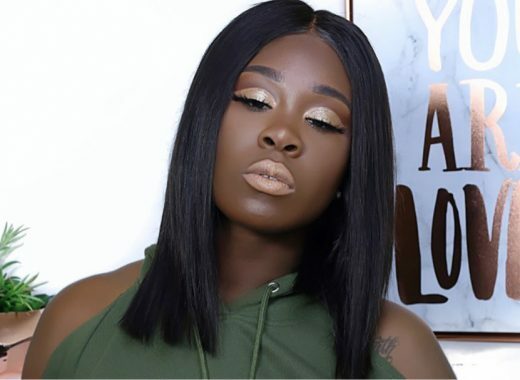 Very stylish hairstyle and very affordable price! Real Brazilian Human Hair. Natural Color, Can be Dyed, Bleached, Curled, Straightened and Restyled as You Like. 130% Density, Soft Light Brown Swiss Lace. 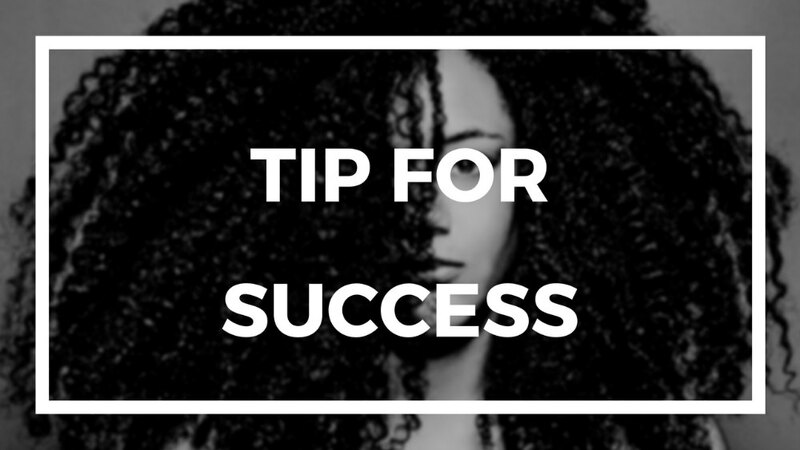 With Baby Hair Around, Pre Plucked Hairline,The Knots are NOT Bleached to Avoid Destroying The Hair Roots. US Stock. 100% Brazilian Human Virgin hair, short body wave style, softness and smoothness. Ombre #1B/#33 and #30 highlight. Shedding and Tangle free. Model Length is about 14inch. Lace Front Wig Cap, Average (DEFAULT)22”-22.5′, Lace color: Medium Brown (in stock). 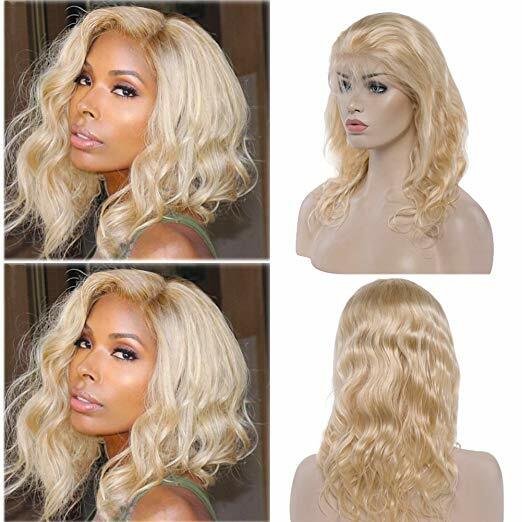 Exquisite weaving lace front wig: selected Swiss lace, thinner and more breathable. Ear-to-ear lace frontal net allowing free parting. Weaving cap makes the hairline look more clear and natural. 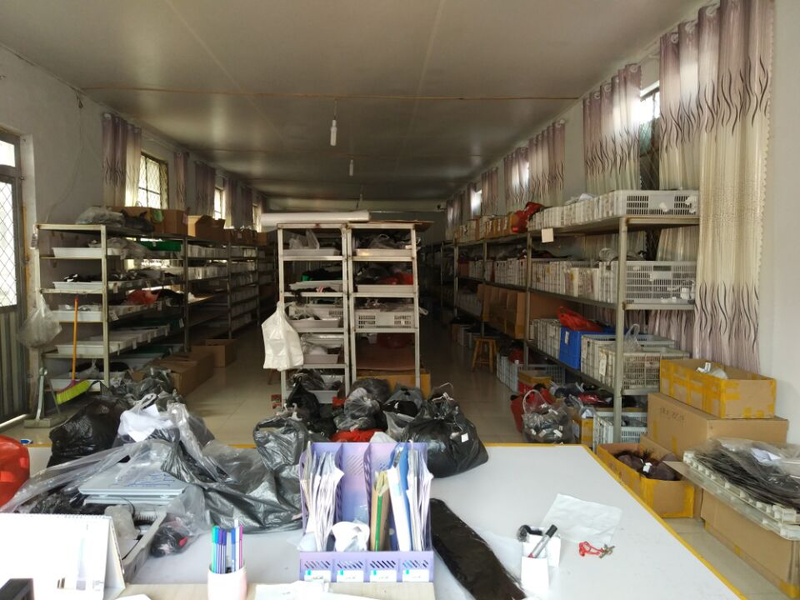 Through high temperature sterilization, more healthy and comfortable. 100% Virgin Human Hair: Unprocessed Real Remy Hair from one donor. One-Directional cuticle. NO shedding. NO tangles. NO lice. Thick and bouncy with highest elasticity and healthy end. Can be Dyed, Bleached, Highlight, Curled or Straightened. Hair Density: 130%. 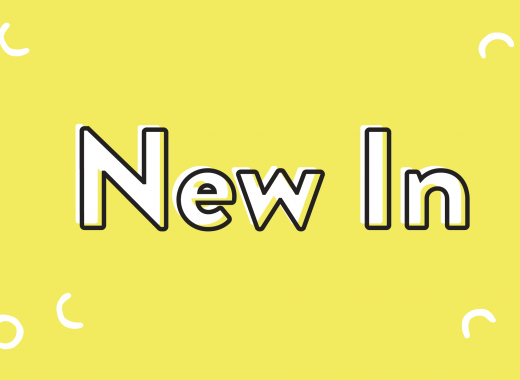 Color: Bleached blonde (#613). 100% Brazilian hair, ombre 1b/27 color, medium brown lace color, medium size cap. 150% density.